While the African Green Growth Forum 2018 was taking place for the first time ever in Kigali, Rwanda last week, IPS sat down with Okechukwu Daniel Ogbonnaya, the Acting Country Representative and Lead Advisor for the Global Green Growth Institute (GGGI) to talk about the new forum, working with Rwanda and green growth integration in Africa. 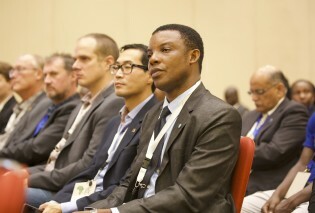 GGGI organised the forum with the Government of Rwanda. Over 1000 policy makers, experts, investors and financial specialists from across Africa are gathered this week in Kigali, at a week-long Africa Green Growth Forum 2018 to discuss how to foster green, made-in-Africa innovations to meet the needs of the continent.